If you take a look around the gym, most of the guys are working out either their chest or biceps. The most popular exercise for the former, is the bench press. Now, don’t get me wrong, I love the bench press. It’s a great whole body workout, just like the push-up, if done correctly of course. If you’re always benching every week and are getting tired of the same old routine, try this variation of the bench press. This is called the bottom-up bench press with resistance bands. It may not look like much, but boy once you try it out, you’ll think differently. Now, you can do this variation normally on the bench press but I prefer to do them in a power rack like shown below. Photo taken from Life Fitness. I prefer doing these in a power rack for a couple of reasons. If you’re like me and train solo with no workout buddy, you won’t have a spotter that’s available at your convenience. Doing these in a power rack does not require a spotter. 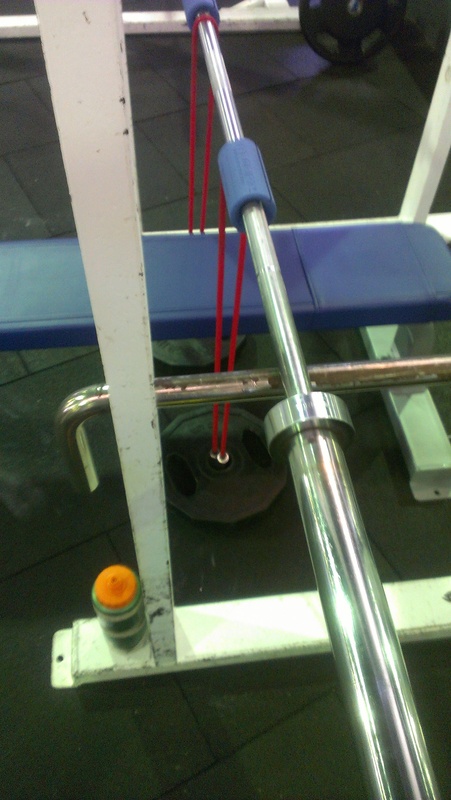 DON’T attempt to use resistance bands on a normal bench without a spotter. You’re just asking yourself to get hurt, SNAP CITY! 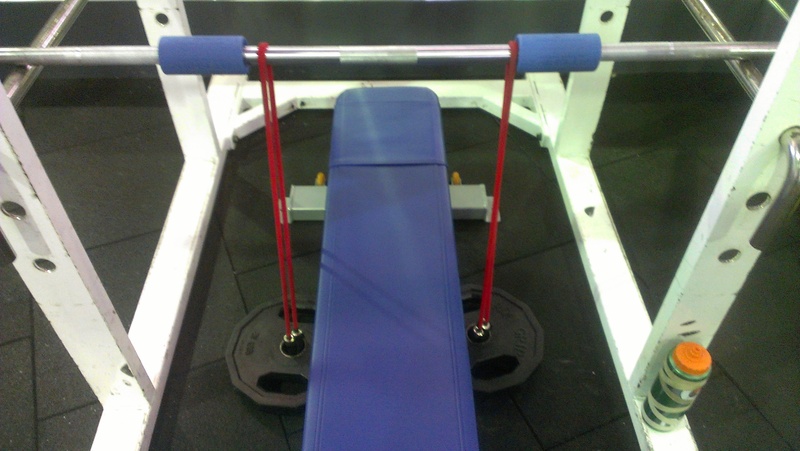 The other reason is that the bottom-up bench allows you to use much more weight. Muscle is elastic, analogous to a rubber band. When it stretches, it stores potential energy and when released it turns in kinetic. On a normal bench press, when you lower the weight, the muscle stretches and recoils itself on the way up helping it to lift the weight. On the bottom-up bench, you take take that extra “oomph” of the muscle stretching out of the equation. In this case, you have to move the weight from a dead stop which requires much more strength. 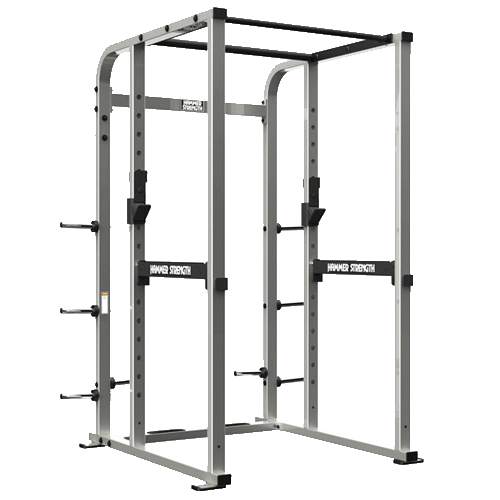 Ok, so locate yourself a power rack and set up a flat bench inside the middle of it. Align the pin height so it allows the bar just above your chest height. Grab some super-bands or some tubing. Your gym might not have either, so you can get the super-bands here and tubing here. Half inch (1/2″) for the super-bands or the medium (red) resistance for the tubing should be just fine for most people. 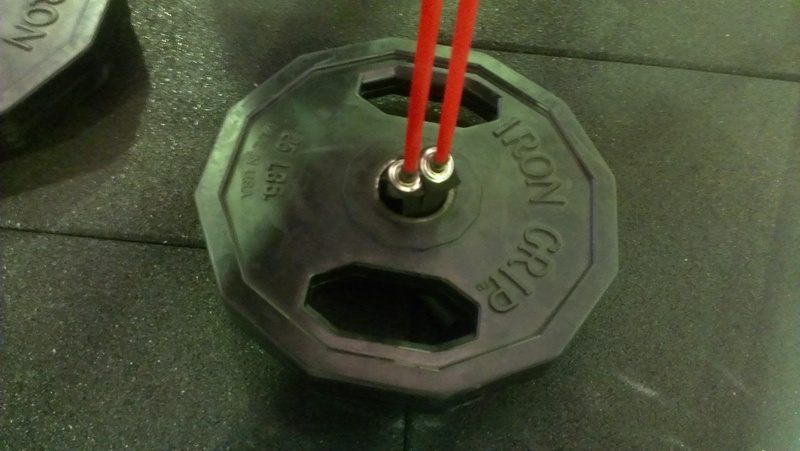 Attach the bands or tubing to some dumbbells or plates. In my case, I used plates so that don’t move. I normally placed the width of the two bands right beside the bench, which is pretty much on the inside of the checkered grip. The further you place the bands apart, the more difficult the press will be as you have to “balance” the load much more than you are used to. Here’s a side view of the set-up. Now, if you don’t know how to properly bench, I highly recommend watching Diesel Strength and Conditioning’s youtube video on how to. Ok, so now you know (hopefully) how to set up and properly bench with correct technique. Set up as you normally would and press up. At the top hold for a second, and SLOWLY lower the bar back down on the pins. This step is important is trains your muscles eccentrically. That being said, you will more than likely feel DOMS (delayed onset muscle soreness) the next day because of that. In short, explode up, hold at the top for a second and a three second lowering phase and after each rep you perform, reset the bar. Don’t go all Rambo and pump out as many as you can. That’s not what this exercise is about. Don’t get too cocky and expect you’ll be able to bench press your normal weights. Lower the weights and reps you normally do as this is an extremely taxing exercise. Well, that’s it. What do you guys think? Any questions, comments or concerns, leave them in the section below. 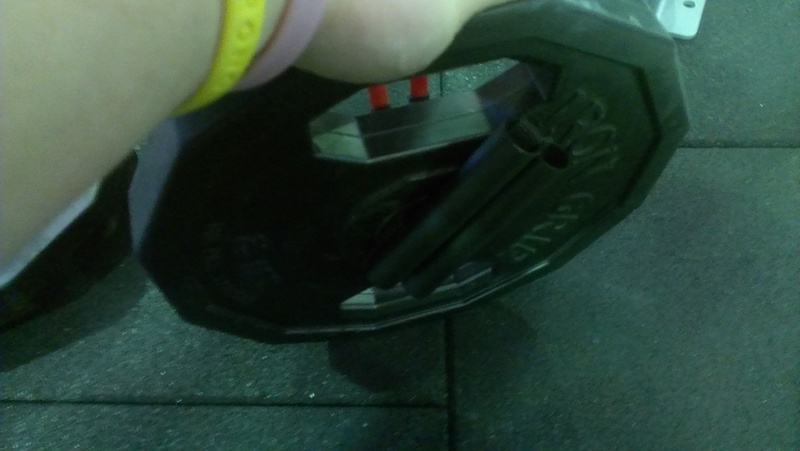 Note: If you’re wondering what those blue things on the bar where you normally place your hands, those are Fat Gripz and you can get them here. I might post a later article on them, but in short, they are a great way to passively work on your grip strength. Try them out!